Passport application process has been made pretty simple by the government of Punjab. Now in Chandigarh too, you can apply for the passport and get it in time. Mostly the process is online but you have to visit at the passport office for document verification. The whole process is mentioned below. Visit the website http://www.passportindia.gov.in/ and register there if you are not registered yet as a new user. 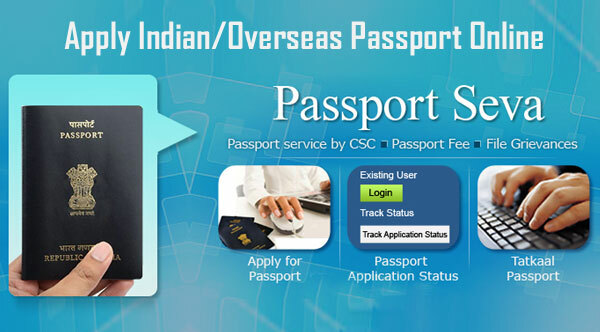 After registering, login to your account and among all the options, click on Apply for fresh passport. You can fill up the application form online or else you can download the form on A4 sized paper and fill it up offline. But the easier option certainly is the online one. Fill up the form correctly. Double check for any wrong information entered or any misspelled word. As if you don’t correct them, they can lead to rejection of your application. Enter the reference of only those people who are available there for you at the time of police verification. Now, submit the application form and pay the fee to book an appointment. At the time of appointment, take the print out of the application along with the original documents which you submitted and visit the nearest passport office. The official usually asks for only one proof of address and one age proof but he may ask for more so you have to be ready. Your biometrics and photograph will be taken there. When all done, you will get an acknowledgment receipt which can be used later to track the status of your application. The next step is police verification. It’s a vital thing as, without it, the passport will not be issued. The police will visit your house or they will call you at the police station. If the police verification is cleared, your passport will be issued. Sometimes, it may take time to deliver as the postal department has certain rules and mostly they like to handover the passport to the person who applied for it. Not all but certainly in some places, the rule is there. Address Proof: Passport, Aadhaar Card, Voter ID card, Gas Bill, Electricity Bill, Water Bill, Telephone Bill, etc. Age Proof: Birth Certificate, PAN Card, Driving License, Voter ID Card, Aadhaar Card, School Leaving Certificate, etc. For Minors: Birth Certificate, Aadhaar Card, First and Last page of parents’ passport, Parents’ address proof, etc.